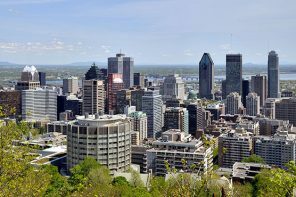 Influenced by Renaissance architecture, Saint Joseph’s Oratory is widely recognized for its stunning dome which is located on the north side of Mount Royal. 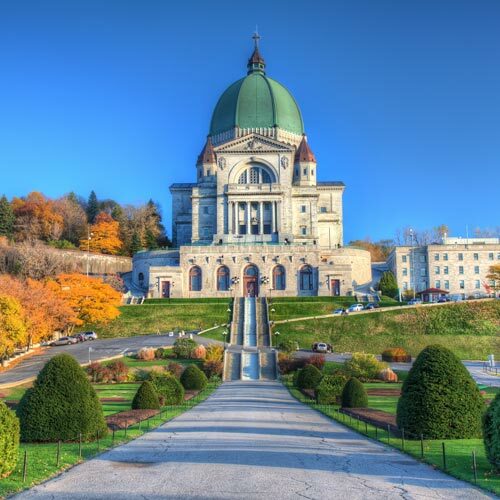 People from all around the world are drawn to Saint Joseph’s Oratory to experience not only the beauty of the church but to partake in the account of its fame. Canonized by the Catholic Church in 2010, Saint André Bessette began the construction of Saint Joseph’s Oratory in 1904. Miracles of being healed from all types of ailments were reported at the oratory which Saint André Bessette credited to the healing power of Saint Joseph. Over 2 million visitors come to Saint Joseph’s Oratory, many on a pilgrimage who climb 99 of 283 stairs on their knees as a tribute to the suffering of Jesus Christ on the cross. This majestic church is the largest in Canada and a treasured landmark in Montréal which makes it imperative to visit.